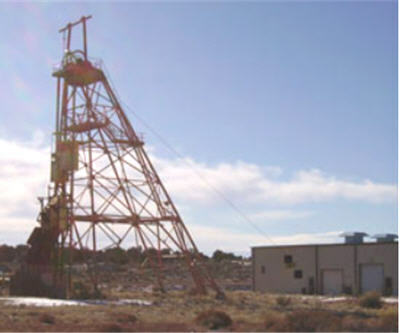 Toronto-based Energy Fuels Inc. (TSE: EFR) plans to open a second uranium mine in northern Arizona, the Arizona Daily Sun reports. The company plans to open the Pinenut mine, which has previously active in the late 1980s, at the end of May or beginning of June. While the mine is located on land the US interior secretary made off-limits in Jan. 2012 to new mining, Pinenut is exempt from the ban because it had been operation before then. The company's Arizona One mine in the same region is slated to close at the end of this year. Image courtesy Energy Fuels Inc.